Crochet is something that I have been wanting to do and have tried before without much success. So I booked a class. Last Thursday was the day. I went armed with wool and warned the lovely lady that was teaching that when it comes to Crochet my hands and brain do not communicate well! After 2 hours I cam home with these. I was quite pleased with myself but now the hard bit ..... to do it without the tutor. Ta da ...... there maybe hope for me and crochet yet! Only time will really tell though. Whoohoo. 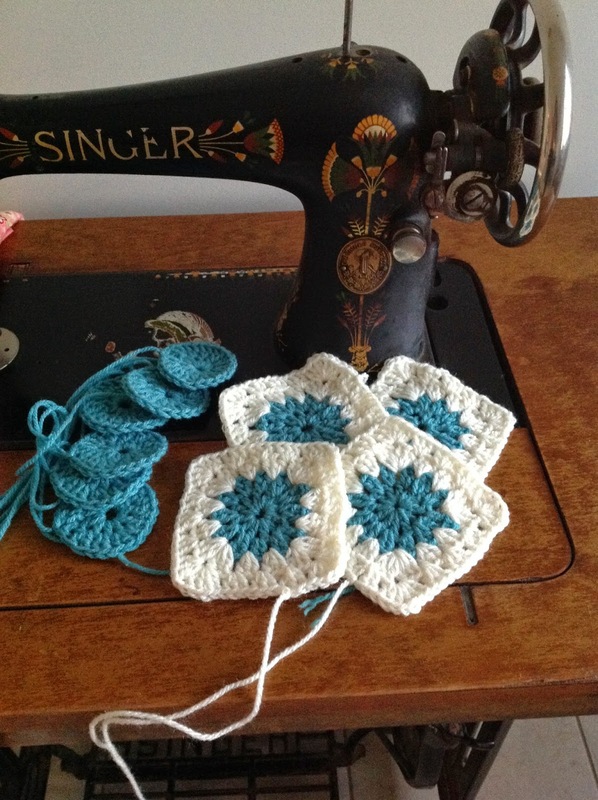 Your crochet squares look amazing. Yay! Go you! I love the colours you've chosen. Crochet is on my "must learn" list too. WOW! I'm impressed! These are lovely Sharon! They will make a great blanket! Well done! Your squares are great. It is going to be so pretty in that colourway. You've done a great job, Sharon. They look fabulous I think you could master anything. Well done. You did so well. 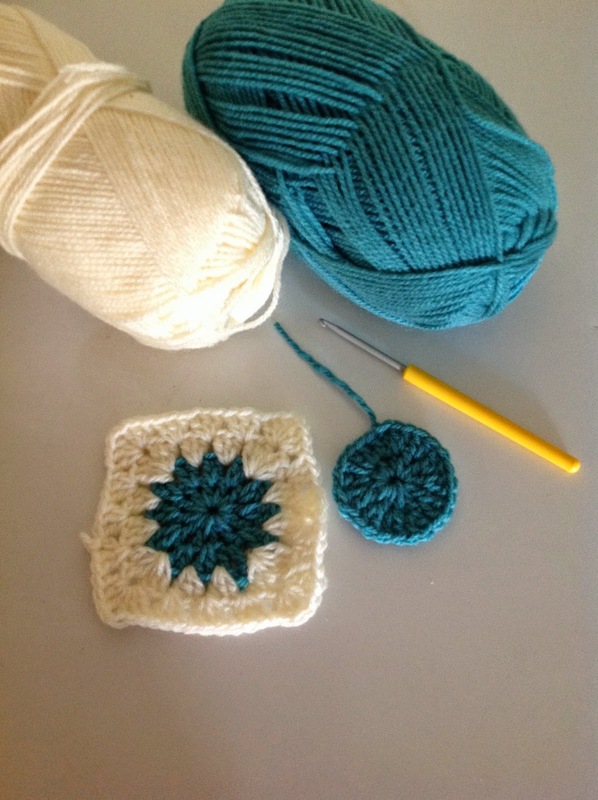 I have tried to teach a crochet class and it was hard! Fantastic! Love those colours too! Well done. I struggle with crochet too. 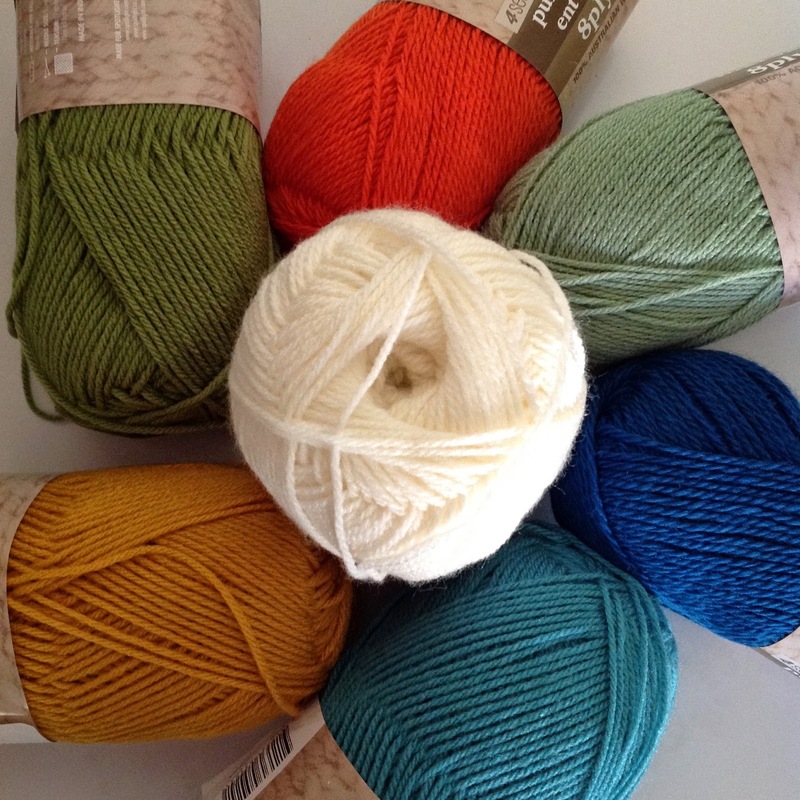 The beautiful colours and yarns available really help though....love your colours. They look great, well done. I too have a bit of a blind spot for crochet. I used to knit but other than just crocheting around a knitted blanket I don't have any idea even though my bestie is a crochet wizard. Who knows? I'm teaching her to quilt so she may get me into crochet eventually! Good on you Sharon! I have been a knitter for about 45 years but could never get the hang of crocheting until recently. I find that it is quicker than knitting and much easier to pick up stitches when they drop LOL. I can only do a few crochet stitches but I am learning as I go along. Yours looks fab. Well done, I have not done crocheting for years! When I was 12 I made a blanket with my great nana to take to boarding school with me! That is 30 years ago!! I guess it would come back to me?? You've done beautifully. Love me some crochet too. Taught myself via youtube a while back. Such fun. I didn't do too well but its the journey - right? Well done. A combination of good teacher and good student. They look wonderful!